The truth is we didn’t get to meet President Reagan. 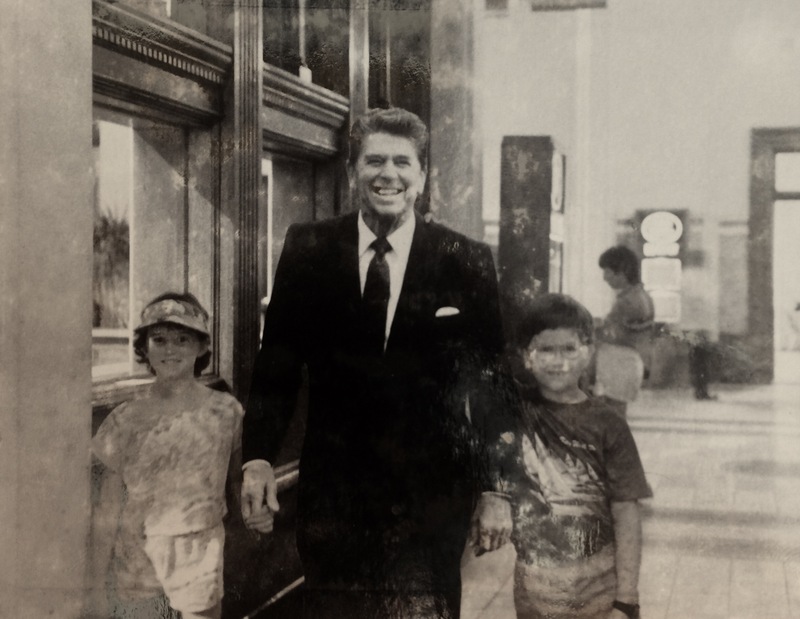 We did go to the old post office and I met a cut out of Reagan but we did not meet the man. My dad thought it entertaining enough that he kicked in the bucks to get my step-sister and my picture taken and viola. What a memory! Which was at the moment a great one. The trip to DC I still remember–the cherry trees still in late bloom, the monuments were larger than life. In America we don’t have a great sense of history as you can traveling Europe but in DC that similar hum of the past resonates. This is all fine and good. Glad you had a great trip back when you were 9 but how is this funny? You have to remember that this is before the school year is over. Back from the trip, back to school–the details on how I arrived at the front of the class is a mystery of my memory but I do remember I had this photo in my hands and what was about to happen. I told how we went to DC, my teacher took the picture and said, ‘You met the President? That’s incredible!’ Before I could open my mouth I was ushered by neighboring classrooms with a teacher that was just overjoyed at this (mis)information. At 9 my awareness for how to correct a situation, ride a situation, or dodge one was still immature. I didn’t correct the first impression and within moments somehow understood the folly of doing such a thing. Like anyone who knew what trouble could lie before them I kept my mouth shut and became more of a mute head nodder. This tale was on the verge of wildfire through the school. The picture had not returned to my hands, I was being led around and spoken for by my excited teacher. The Principal was then told the story which seemed to be growing without any aid of my own. Another blur and the Principal made an announcement over the PA telling the entire school how I met the President. In my reflection of this event it feels like it happened all in about ten to twenty minutes of the start. I had never been in such a role before. Part of me was awestruck at the attention, part of me wanted to hide as far down a hole as I could. Oh hindsight, you cruel mistress. My teacher who was still escorting me around (I wonder who was watching the classroom..) led me to lunch. On the way we ran across my sister who would have been 6. Everything leading up to this moment might have been a blur, but in halting crystal clarity I will never forget this. You know in science fiction where an event horizon is created with that utter silence, everything is in slow motion, and a majestic sense of destruction is laid before you? Yea, that happened to me. My teacher flipped out. In what felt like an awful reversal of the day I was taken backwards against the salty razor blades of truth. I was drug through classrooms to apologize for telling such a lie. I was taken to the Principal who again over the PA explained my lie. I was crushed like a bubble of air being dragged fathoms deep. I felt like my soul could recede no farther, grow no smaller, and become no less substantial. Yes, I was wrong not to support a counter claim in the moment. I should have resolved this immediately but for kids the glow of appreciation, the love of a being special in a moment is so great that it is hard to turn away from. While I was wrong to have let it be misconstrued it was equally wrong to hammer a child so hard with their reversal of fortune. What potential damage does such a rakeing of public humility throughout an entire school cause? Returning home with something like PTSD and this hollow sensation in my chest I broke down seeing my mom on the stairs to the house. Like any good mother she folded me up, easily opening me to questions which this tale exploded in blubbers and snot. It wasn’t my sisters fault really, she was just being childlike truthful in the moment. Not even realizing what was at stake but it didn’t change a profound hatred for her at that moment. We were beginning to sell our house and I asked if we could sell her with it. I don’t remember the days after this. Maybe there was a collective forgetting for being duped so easily. Maybe I blocked any post ridicule out as my mind had a few days of shock to work through. In the end children are malleable with care and time smooths over even such dramatic incidentals. 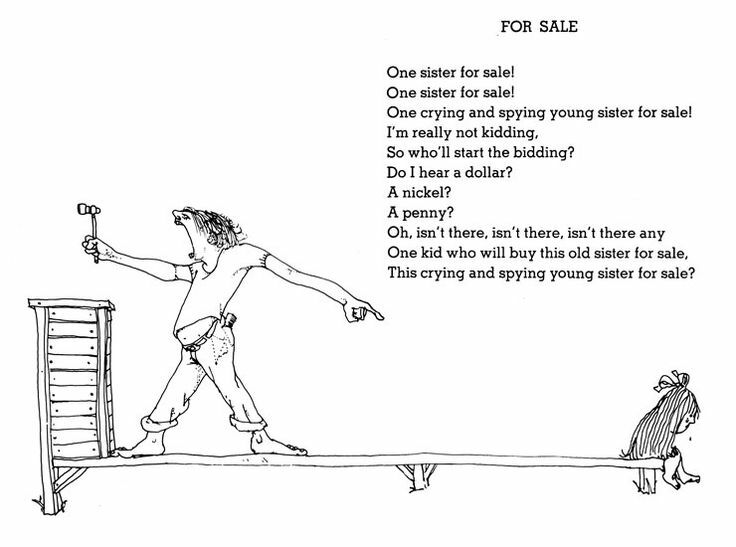 One thing I do remember is how hard my dad laughed at this story and how he continued to laugh at it for years on. It took me decades to get over the sharp pain of this event but he always saw it as one of the funniest things to happen to me, mainly because he was at the root of it all. Luckily I can laugh now as hearty as the next person. What a glorious disaster!